It was the fifth day of the great "Ribble Way" expedition - the exploration from source to sea of the Redoubtable River Ribble. The weary wanderers had wound their way from the wonderful wolds of upper Ribblesdale, through the hinterland of Horton and finally after three exhausting days had arrived in the market town of Settle. The weather had been abominable - howling hurricanes and relentless rain had followed them at every step - the Lazy Lion had provided some succour but it was at least five more days before the blessed relief of the salty sea. The fortified fifteen wanderers had to keep fighting! 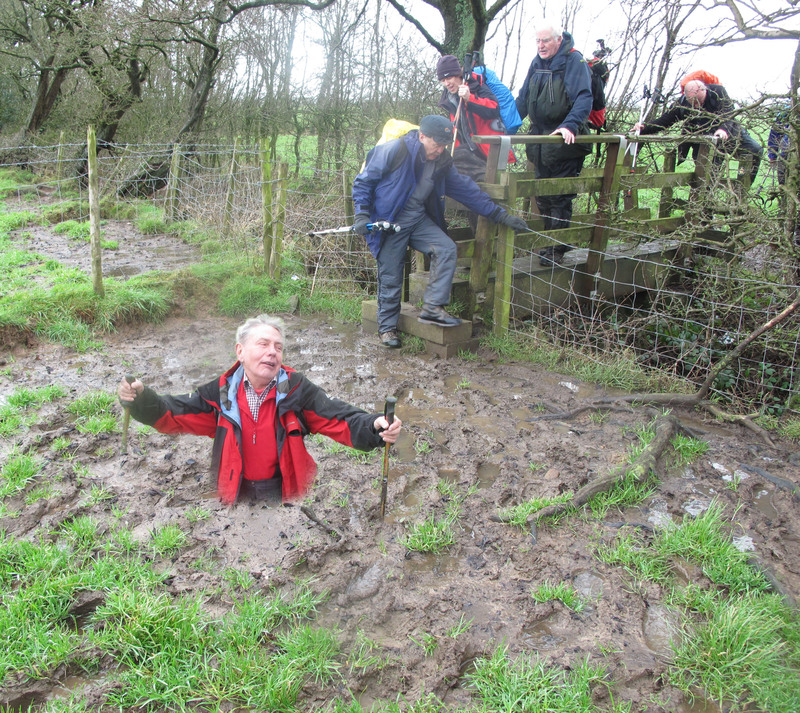 It was on the way to glamorous Gisburn that the molten mud had shown its face - mud that appeared to be basically bottomless. Boots were bamboozled - how could Gortex keep out this molten menace? "It's just like the sodding Somme" said Chris, "apart from the shrieking shells!" But it was on the fifth day that sedition struck. We had padded patiently as usual through the relentless rain and howling hurricane which was of course in our f**king faces. The molten mud was only marginally worse than on earlier expeditions, when what happened? We reached West Bradford Bridge and five felicitous fellows followed the tarmac track back to the car! THEY ABANDONED THE RIBBLE WAY FOR A DRY ROAD! Wet, weary, Wednesday wanderers went wobbly! The President of the LMC disappears into the morass � he has not been seen since - no problem there then!